Renault-Nissan Alliance has announced it will introduce 10 self-driving models by 2020, in attempt to break into the emerging market. The cars will be introduced in Europe, the US, Japan and China. 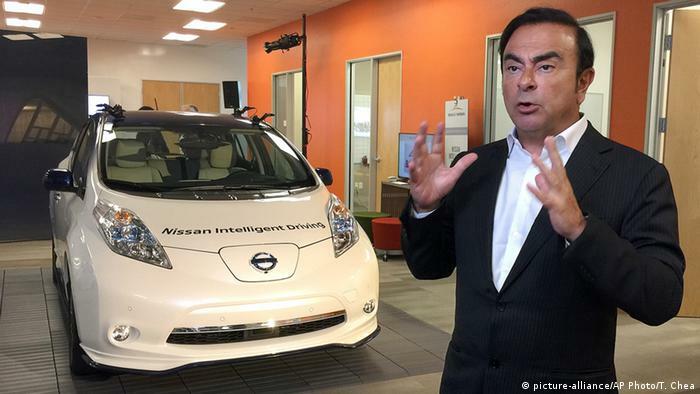 Carlos Ghosn, CEO of Renault and chairman of the Renault-Nissan Alliance, made the announcement on Thursday, saying that the self-driving technology would be introduced gradually. "It's going to happen in waves. We want to make sure our technology is accepted, understood and used." Ghosn's statement pointed to concerns from researchers who said people may not be ready for self-driving technology, as the transition from robotic driving to human control could prove too disastrous on the open road. However, Ghosn believes that introducing the technology "in waves" could help people learn what autonomous driving can and can't do. Renault-Nissan plans to debut its first batch of self-driving cars later this year. The company says the cars should be able to steer while traveling down a single lane on the highway. By 2018, the company will introduce cars that will be able to automatically navigate across several highway lanes, and by 2020 the cars should be able to navigate city streets on their own. The company hasn't said which models will include the self-driving technology or how much the cars would cost. The company's announcement doesn't represent a unique breakthrough, as Tesla Motors, an American automotive company, has already unveiled cars capable of shifting into self-driving mode on highways. In addition, Google has already logged more than 1 million miles with their self-driving cars, and has been experimenting with the technology since 2009. Competition also includes Toyota, Ford Motor and General Motors. Other companies such as Uber and Lyft have also joined the market.